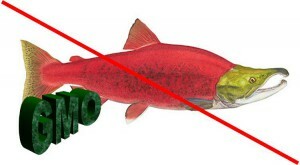 As you know, there is work done to introduce GMO Salmon into our food supply. 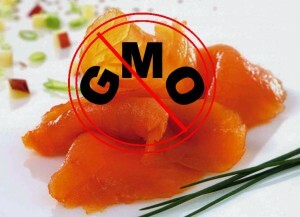 There is also a campaign for the prevention of this GMO Salmon coming to our tables. So I wrote to our Senator Marco Rubio, and asked him to consider the impact it would have on our health and lives. Well, as you can imagine: GMO Salmon is coming – no matter what! I received an email from the senator, with a very nice explanation on why GMO’s are so beneficial for us. Over the past twenty years, advances in biotechnology have led to the increased use of genetic engineering to produce many of the food products consumed by Americans. Originally, genetic engineering was used to enhance the production yield and resiliency of field crops, like tomatoes and corn, but modern techniques have expanded the use of genetic engineering to a wide range of commercially available food products, like dairy, fish, and meat. Additionally, genetically engineered food products have been safely approved by the Food and Drug Administration. As you may know, Representative Mike Pompeo (R-KS) introduced H.R.1599, the “Safe and Accurate Food Labeling Act of 2015,” which would establish a federal standard preventing mandatory labeling of genetically modified ingredients in food, unless the Food and Drug Administration (FDA) finds such foods unsafe. On July 23, 2015, the bipartisan legislation passed the House of Representatives by a vote of 275-150. I believe common-sense, market-oriented solutions based on sound science are the best approach to protecting consumers. I will remain mindful of your concerns should legislation addressing genetically engineered food come before the full Senate for consideration. I don’t think there are any words to express how disappointed I am. We elect our representatives and what do we get? Someone who is for big corporations, either by not informing themselves or believing what they are told. It is know that the GMO testing is done by short term studies (90 days) and by the corporations themselves. So they can tell the FDA whatever they want. As long as there are revolving doors between corporations and government we will never have a chance. Why are we denied to have healthy foods on our table? It all comes down to profit. I am not a gambler, but I bet that on the tables of the government there is only organic food. Not one of them is eating GMO foods. We will continue the fight to have the right to know what is in our food and the right to choose what we eat. It might take time, but the more people get involved in this quest the better chance we have to stand up against the greed of those big corporations. As always, comments are appreciated and welcome.